Patients with severe heart failure are at high risk to die suddenly. In the majority of these patients, sudden death is thought to be due to ventricular tachyarrhythmias. The mechanisms underlying these lethal arrhythmias are largely unknown. 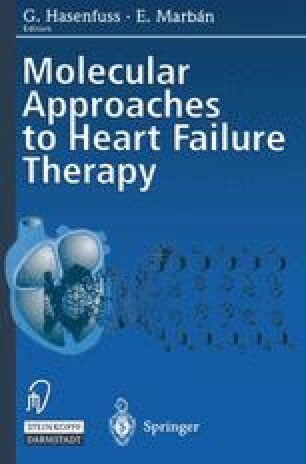 However, in animal models of heart failure and in humans, there is evidence that reentry as well as non-reentrant mechanisms may play a role (Table 1).